The snowmen in Hakuba are a little more advanced. Every child that comes to the snow wants to build a snowman. For those that are bringing their kids along to Hakuba this winter be prepared for a dig around when you arrive back to the hotel after a day on the mountain. A tip is to keep your gloves on. 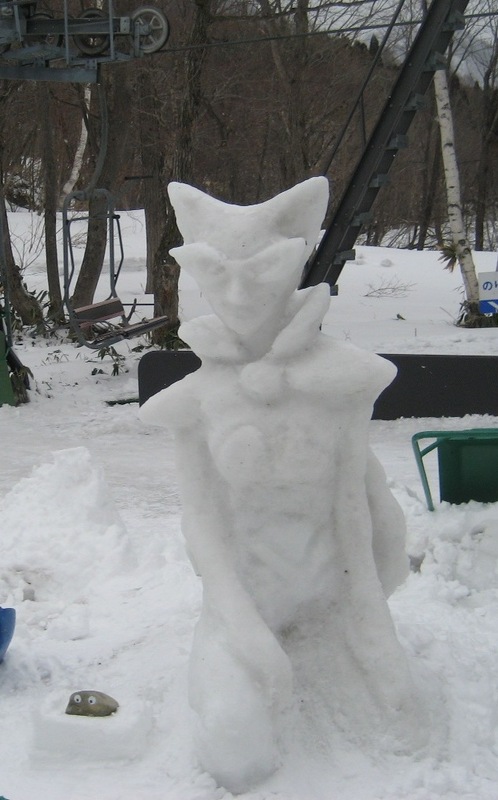 There are some very talented artists around who take it a bit more serious creating snow sculptures which you will see on the resorts and randomly around the valley. At the White Horse in Echoland we have a great little park area across the road where you can let the kids run off any energy they may have remaining and create your own piece of snow art. This entry was posted in Hakuba, snow and tagged accommodation, Hakuba, skijapan, snow Japan, White Horse Hotel. Bookmark the permalink.